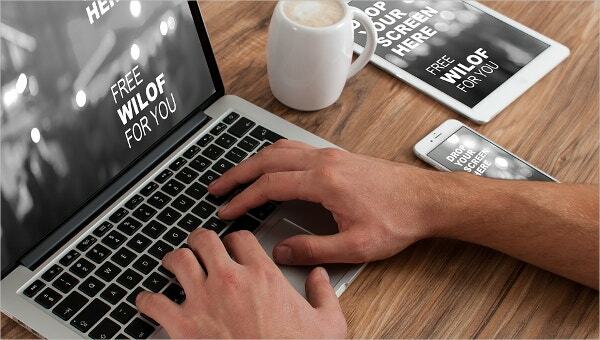 Confirmation emails are used by online sellers, event organizers, interviewers, restaurant,s and other entities to follow up on a call to action taken by the recipient. They can serve many purposes depending on the situation. Whether you gain a customer’s trust with an order confirmation mail, solicit feedback about your company in a survey you send them after transactions or inform customers of important information about the transaction, confirmation emails can serve an important customer engagement function. You can also see Email List Templates. 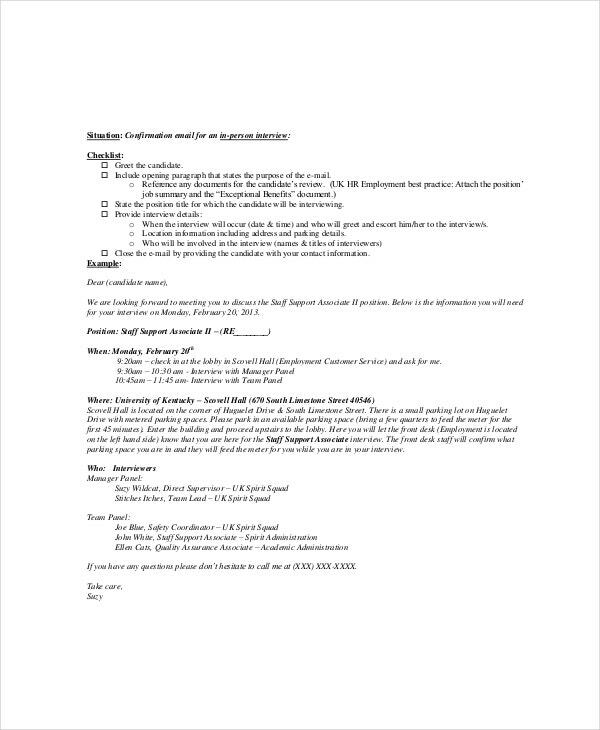 With the help of a Confirmation Email Template for Event, confirm registrations and participation of guests at symposiums, conferences, seminars etc. with details about the event, accommodation, transportation, itinerary, checklists etc. 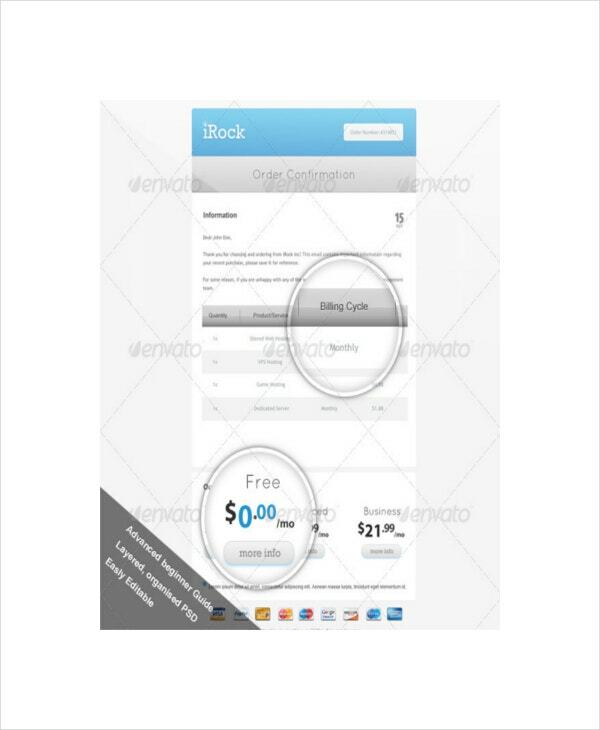 You can also see Email Invitation Templates. 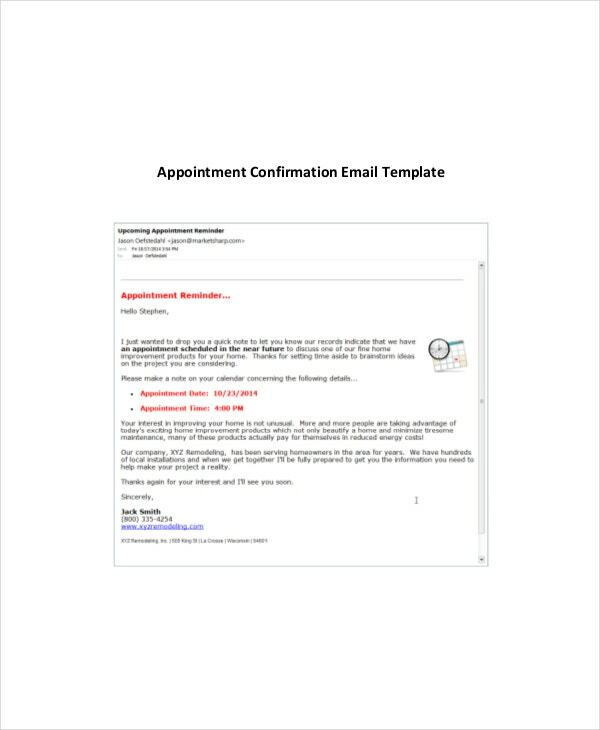 The appointment confirmation email template can be used to confirm appointments and reduce the chances of a cancellation or no-show. It helps companies make a good first impression and stand out. The interview confirmation email is a written follow-up of a verbal communication to remind interviewees of the details of an interview. Any further information such as the time, venue, and checklists can be included here. The order confirmation email template can be used to write emails that perform the same function as traditional receipts after online purchases. It can reassure a customer about their purchase. You can also see Email Memo Templates. 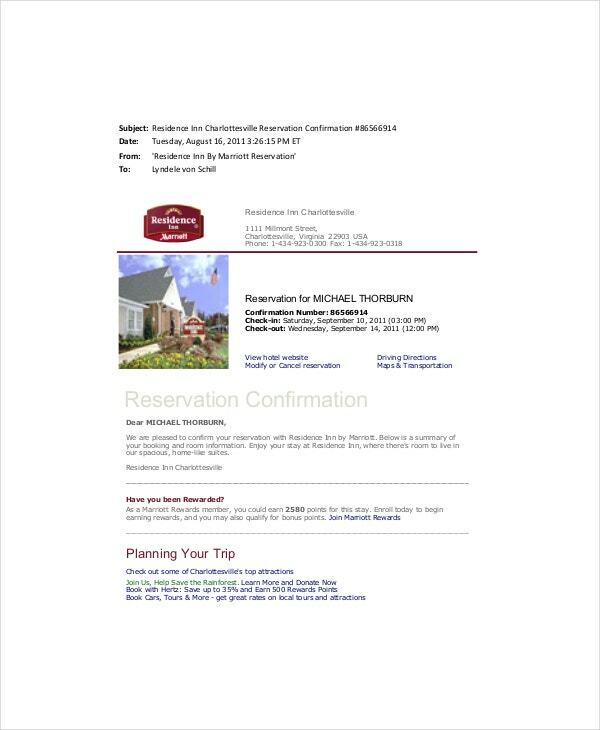 Restaurants, hotels and other businesses that require reservation can use the reservation confirmation email template to make it clear that the reservation was successful, to thank the customer and find out more about special requests etc. Confirmation emails serve many purposes. For appointments, events, and interviews, they serve to inform the recipient of important information, lower rates of no-shows etc. Guests who don’t turn up can cost event organizers money. They are also like store receipts, triggered by the actions of the customer. When they open the confirmation email, they are expecting to engage with the mail. You can also see Email Stationery Templates & Designs. Analytics firm Experian has found that confirmation emails have an average click-through rate of 12 percent to 20 percent. This is five times the CTR that bulk emails receive. Confirmation emails can give businesses the opportunity to upsell because the customer is already paying attention. 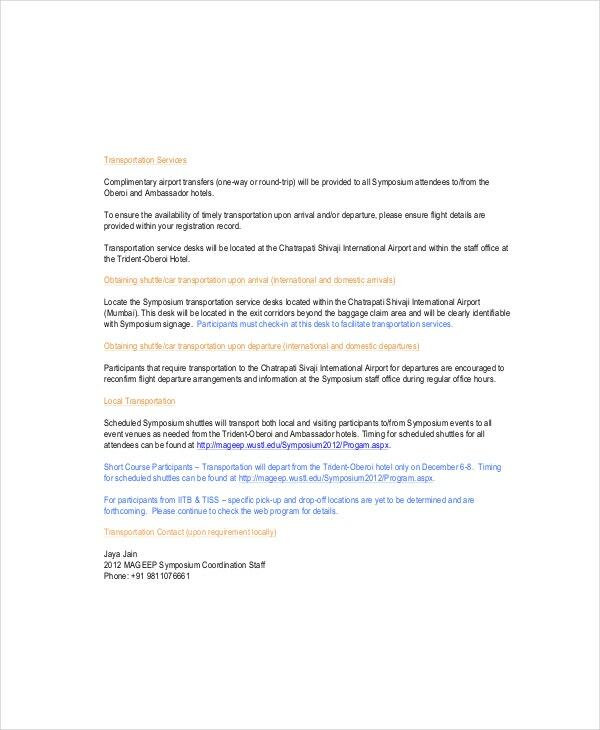 Why ECommerce Orders Use Confirmation Emails? Most eCommerce businesses today use order confirmation emails to serve multiple purposes. Customers may be plagued with doubt after making a purchase. The confirmation email not only reassures the customer that their order is complete, but it can also help to lay any doubts to rest. “Buyer’s remorse” is a common behavior associated with purchase, especially in the case of expensive items, and the follow-up email can help convince the customer they made a good decision. These emails also work to enhance the company’s professionalism and credibility. Confirmation emails are a must in any eCommerce store that wants to enjoy returning customers to their store. You can also see Email Survey Templates. Don’t undervalue the confirmation email. It is a crucial way to do something memorable when the customer is already engaged with your business. It gives you the chance to have a one-on-one personal conversation, tailored with relevant offers, provide information that builds on the enquiries of customers, and remove any post-purchase doubts that they may have.